Locate Command Prompt by entering cmd into the search bar. 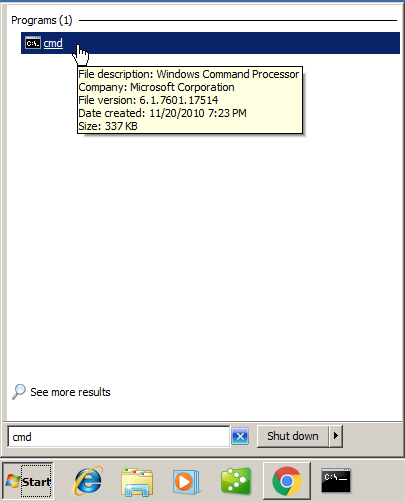 Click cmd in the search results to open the Command Prompt. Enter the following command, then press Enter to create a file named test-node.js containing a simple application that will print out the result 1 + 1. Type node followed by the name of the application, which is test-node.js in this case, and then press Enter. The result of running the application will be printed out to the command prompt.